Version 1.1 of your new AROS distribution has finally been released. It's not perfect yet, but it's more stable, and includes all the most urgent features any hobbyst, usable operating system should have. Icaros Desktop has everything VmwAROS already had, with many improvements you'll surely love, like the integration of the modern web browser OWB (which can now open HTML file on your hard drive clicking on them, or launching some famous cloud-computing web applications straight from AmiStart), the addition of the wonderful PDF reader ArosPDF, the vastly-improved AmiBridge thanks to Janus-UAE 0.3 and many, many more. 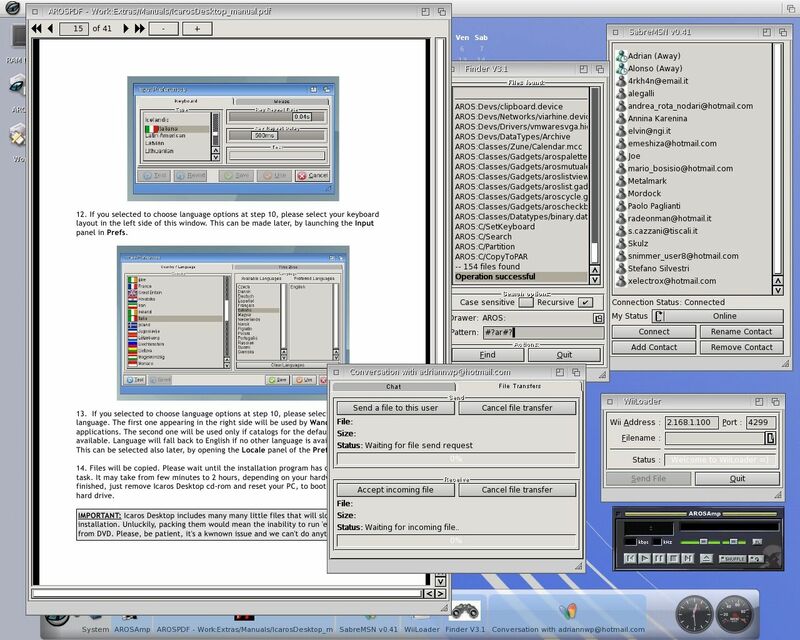 On the left: two sessions of MPlayer showing DVD-quality movie files. 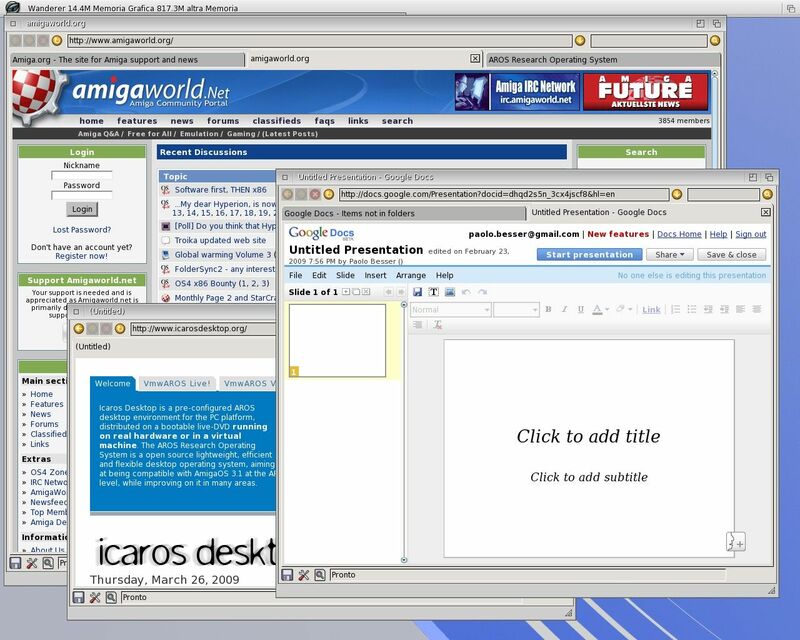 On the right, three popular websites shown in different OWB windows. 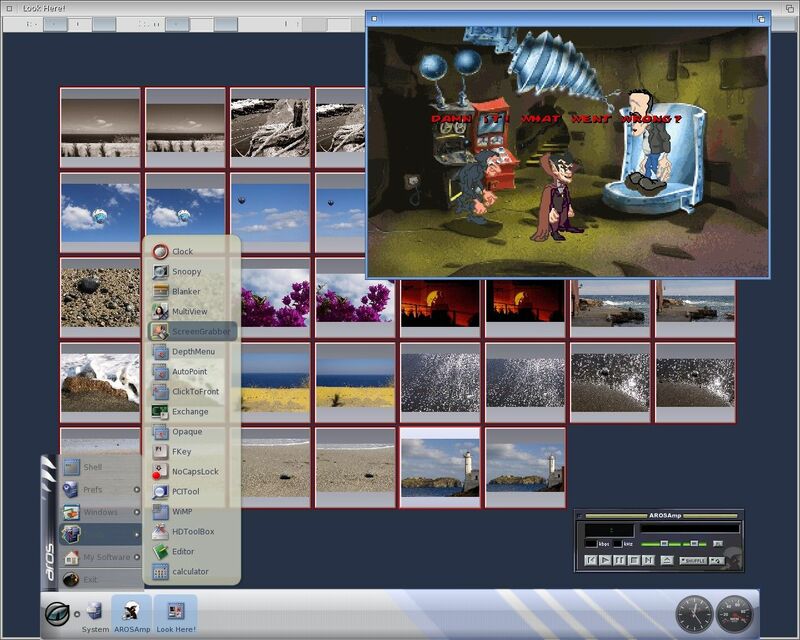 On the left: LookHere showing thumbnails of many images. 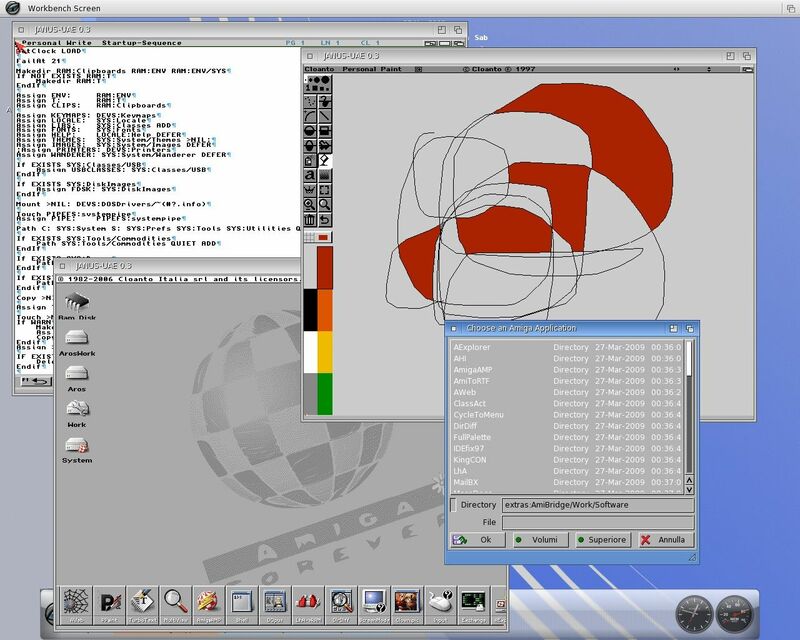 On the right, ArosPDF and some others handy utilities like SabreMSN, Finder, ArosAMP and WiiLoader. On the left: Commodore emulator VICE, Abrick and ArosPDF. 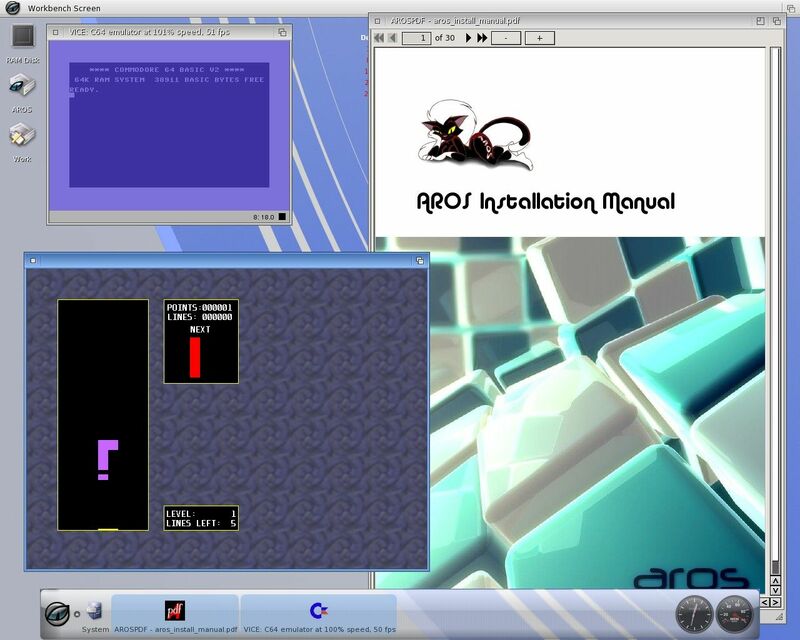 On the right, improved AmiBridge now allows launching more AmigaOS applications without efforts (you need a fast PC, though! ).